I've done this minigame for the Weekly Hour Game Jam W12 2017. So I decided to make a game about 2 sides who are launching to each other V2 rockets. The player has to choose the power of the rocket by clicking on one of the 4 buttons on the upper left corner. 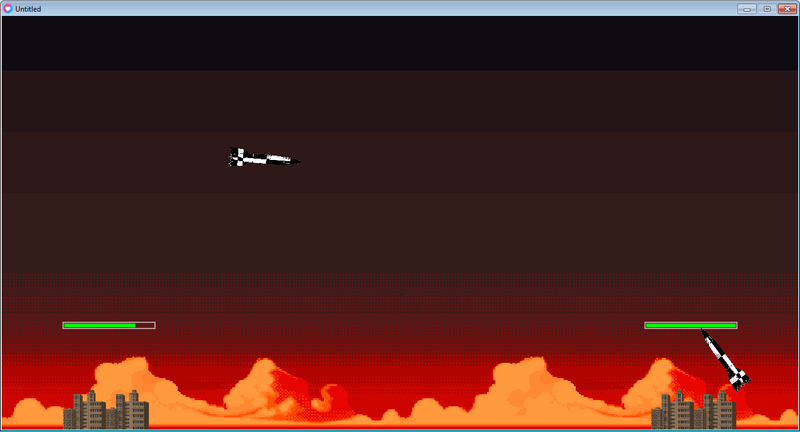 PS : After this Game Jam, I'll continue on this developpement. Download it. Unzip it. Run the exe file (or love file for mac). Play it. Enjoy it.